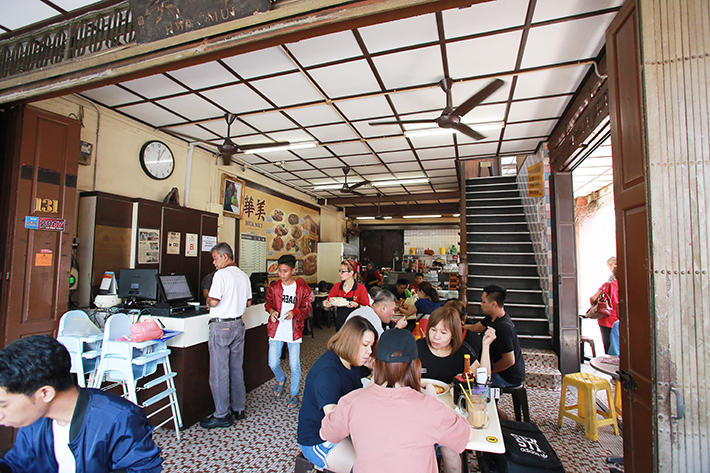 Nestled along the foodie haven of Jalan Tras and Jalan Dhoby lies Restoran Hua Mui, an old-school coffee shop that is said to be the birthplace of the original, authentic Hainanese chicken chop. Although it may look unattractive at first glance, this shabby two-storey coffee shop is a huge hit among locals and tourists alike, who often pack it full from as early as 9 in the morning. From their popular charcoal grilled butter and kaya toast to other Eastern and Western food offerings, there is bound to be something to satisfy your craving. Located just 15 minutes away from City Square Mall, Restoran Hua Mui is one spot that visiting Singaporeans should all check out to kick-start their day proper. Established since 1946, the interior oozes an old school charm that is reminiscent of how old Singapore eateries used to look like. From its creaky staircase to its vintage floor tiles, this is perhaps something of a novelty for many of us who never got to experience coffee shops like this back home. 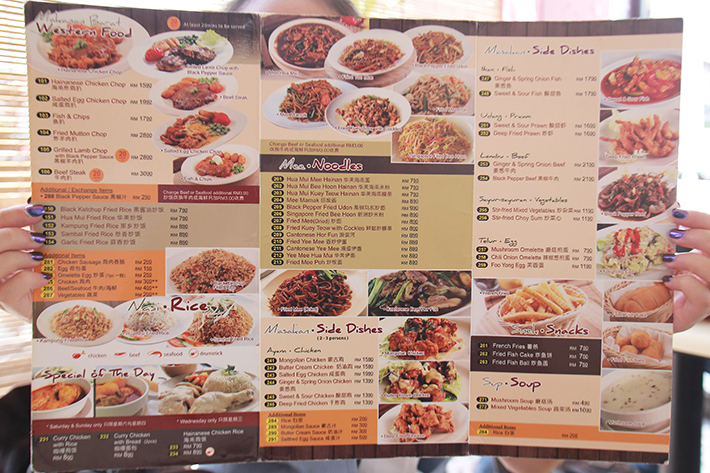 Boasting an extensive menu that comprises both Western as well as local cuisine, you can rest assured that there will be something to peak your fancy. 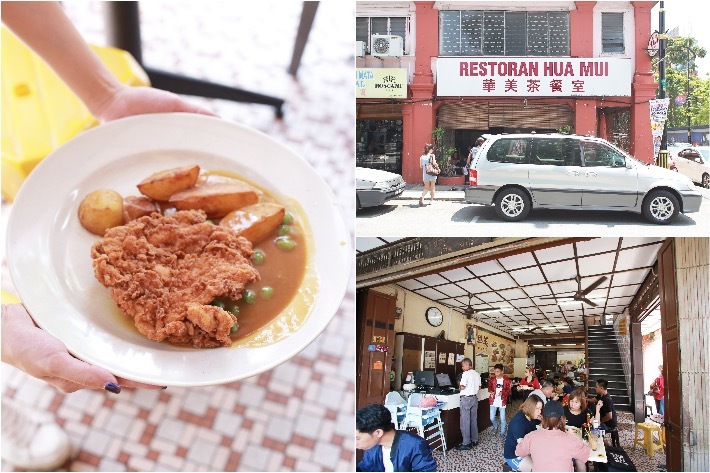 The star attraction of Restoran Hua Mui is their Hainanese Chicken Chop (RM15.90). Sitting atop a savoury gravy with some peas and a few potato wedges, the fried chicken chop itself was crispy beyond belief without being oily. The initial slice down the middle revealed a juicy and succulent centre, an indication that it was marinated properly prior to the actual frying. The batter was flavourful with prominent notes of egg and milk coming through—which is something unusual as most fried chicken batters tend to be milder. Compared to its more popular counterpart, It Roo Cafe, that is located just a short walk away, we would boldly admit that the chicken chop served here is heaps better. Heading to Johor Bahru? Read our Johor Bahru guides to find out the best places to visit.